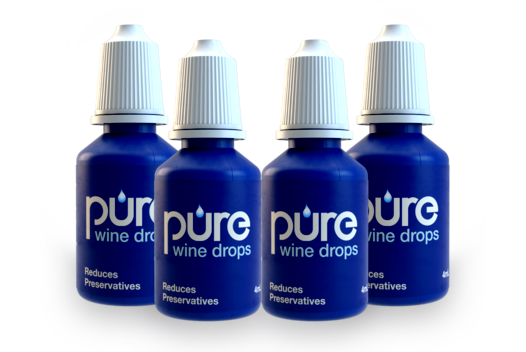 Purewine drops allow you to enjoy your favourite wine without experiencing the side effects of preservatives. Purewine was created to allow wine consumers to enjoy their favourite wine by significantly reducing the preservatives. Purewine empowers wine consumers to be able to enjoy their favourite wine but with greatly reduced preservative levels. 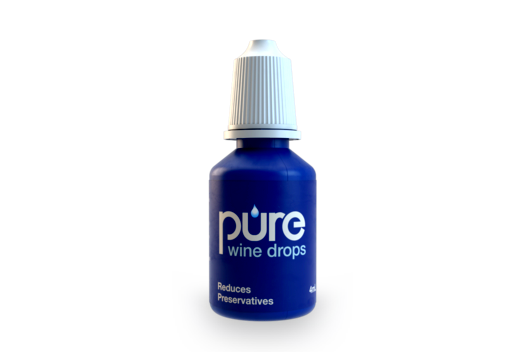 You can either treat individual glasses of wine (1 drop) or the whole bottle (5 drops). Many wine consumers have an adverse reaction to the preservatives found in wine. These reactions can range from mild rashes, sneezing, runny eyes to quite severe anaphylactic episodes. We also believe the preservatives in wine are a major contributing factor to hangover type symptoms such as headaches, fatigue, nausea and lethargy. There is considerable anecdotal evidence which demonstrates that preservatives actually contribute significantly to hangover type symptoms. Have you ever noticed that if you drink properly aged wines or European wines you wake up feeling much brighter and clearer than after drinking young modern wines? This is despite the fact that these wines contain very similar amounts of alcohol. This is because these wines have lower levels of preservatives. A medical trial was conducted in collaboration with Proteomics International in mid June 2016 which produced some extremely positive results. The trial was set up testing several individuals consuming wine using Purewine and the same group consuming the same wine not using Purewine (control group). It was found that there were significant differences between the samples taken. There were approximately 30 proteins that differentially expressed versus the control group. The results from this trial clearly show that Purewine had an effect on all participants. It was decided another trial with a larger group would be conducted to determine if its possible to determine if there was a consistent change in specific proteins. The trial was conducted in mid 2017. Once again the results demonstrated a difference between the 2 groups but the changes to the individual proteins was not consistent across all the individuals. In many respects this conclusion is not totally unexpected as we are aware from feedback from our customers that people have quite different reactions to the preservatives in wine. The conclusion is that we may have been looking closely at the wood instead of the trees! In other words the use of Purewine may prevent the destruction of a vital nutrient in the body but the reactions to this lack of nutrient may vary from one individual to another. We are continuing to carry out further research to test this theory as we are determined to find out why Purewine works so well for so many people.